mother's day is huge! it was originally intended in the 1800s as a pacifist holiday and was nationally recognized in 1914. father's day wasn't recognized officially until the nixon administration. i actually am old enough to remember nixon. argh! oddly, my oldest son joseph was born on a mother’s day sunday in 1988–and please don’t do the math on the date i got married although it is a medical miracle that he was born four months premature but fully eleven pounds eight ounces. sometimes my sons eastman and joseph both, during their newly minted adult independence, have forgotten or misplaced a holiday. it’s tough to forget christmas but there’s been occasional lapses on valentine’s and my birthday. i tend to disown them in my mind. . . . at least until they remember and, in varying degrees of contrition, they have their memory and mother love restored. in any event, this past year and a half i have been traveling a lot to visit facebook friends and i planned a visit to new york this coming may 6th in order to celebrate mother’s day with joseph and then to remain in new york so that i might celebrate his birthday on the eighth. and to visit facebook friends! maybe even wordpress friends who tell me they’re available! i fly out to new york on the sunday the sixth and return on the twelfth of may. oh, the irony! i get so darned upset if the boys forget mother's day and here i have . 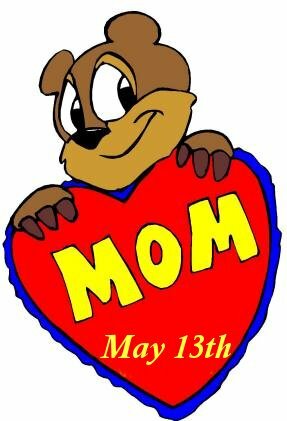 . . forgotten what day is mother's day! 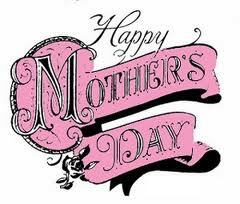 mother's day is traditionally observed on the second sunday of may. this year it will be the latest date in may that it can occur--the thirteenth! this coming mother’s day, i will be thinking also of my mother. i have a biological mother named aleta. i lived with her and my father until i was three years old. then my parents put me up for adoption. i tracked them down when i was twenty five years old. a few years later, my mother aleta cut me off. she has only seen my older son joseph once and has never met my younger son eastman (who just turned twenty). i recently sent her a facebook friendship request. my mother loves animals and lives in washington, d.c. and, like me, she trained as a lawyer. when i sent her a friendship request, my account was suspended for fourteen days because facebook freezes an account if someone you send a friendship request to claims that they don't know who you are. i am looking forward to seeing my son joseph in new york and visting with facebook friends–even if i have miscalculated. . . . This entry was posted on Monday, April 16th, 2012 at 8:50 pm	and tagged with facebook, friendship, friendship requests, mother's day, mothers, new york and posted in Uncategorized. You can follow any responses to this entry through the RSS 2.0 feed. « facebook, google, can they coexist? Hope everything works out for the best with your mum. ha ha! i think a fifth holiday for my sons to keep track of would unhinge them! it’s tough enough living with me as a mum. and thank you, i always pray for a reconciliation with my mum. maybe this year! Touching story about your Mom hope you two connect soon! thank you martin, i really hope there is a reconciliation one day! Isn’t it strange (or perhaps not) how Mother’s Day seems to be so important to mothers – when the rest of the family really have to work to remember it? I have learned to remind my (almost grown-up) children several days beforehand, just so I’m not disappointed on the day! Perhaps for me it’s so important because my oldest child, my daughter, was also born at 5am on an English Mother’s Day. I was very lucky, though: my mother wrote me a Mother’s Day card as if it was from the new baby!! i have become quite the “hint” dropping mother. but i know that one day they will think of mother’s day and holidays all on their own and i will be the one with alzheimer’s who will wonder what the roses are for. . . .